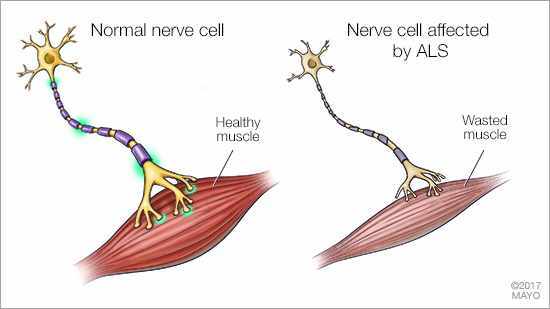 Lou Gehrig's disease, also known as amyotrophic lateral sclerosis or ALS, is a progressive nervous system disease that destroys nerve cells and causes disability. ALS often begins with muscle twitching and weakness in a limb, or slurred speech. There is no cure, and, eventually, the disease is fatal. Learn more about ALS, including the symptoms, risk factors and potential complications. Prediabetes means that your blood sugar level is higher than normal but not yet high enough to be Type 2 diabetes. If you have prediabetes, the long-term damage of diabetes, especially to your heart, blood vessels and kidneys, already may be underway. Without lifestyle changes, prediabetes is likely to progress to Type 2 diabetes. If your blood sugar level is concerning, learn what you can do to bring it back to normal and avoid developing diabetes. Is it OK to take prenatal vitamins if I'm not pregnant? Claims of thicker hair and stronger nails may tempt you to take prenatal vitamins. However, prenatal vitamins are formulated specifically for women who are pregnant or trying to become pregnant, and women who are breast-feeding. If you're not pregnant and not planning to become pregnant, high levels of certain nutrients over a long period of time may be more harmful than helpful. Learn more from Katherine Zeratsky, a Mayo Clinic dietitian. Why should I be concerned about thirdhand smoke? Tobacco smoke creates toxic residue that clings to clothes, furniture, walls and other surfaces. That residue is called thirdhand smoke. Children and nonsmoking adults may be at risk of tobacco-related health problems when they inhale, swallow or touch substances containing thirdhand smoke. Infants and young children may have increased exposure to thirdhand smoke due to their tendency to mouth objects and touch affected surfaces. Learn more from Dr. J. Taylor Hays, a Mayo Clinic internal medicine specialist. You may need to reduce the number of calories you consume to lose weight. But that doesn't mean you have to starve yourself. One way to eat fewer calories and still feel satisfied is to opt for plant-based foods, such as fruits and vegetables. Try salads that include apples, blueberries, pineapple or other fruits. Choose entrÃ©es that feature broccoli, bell peppers, dark leafy greens or other vegetables. If you're ordering pizza, skip the meat and pile on the veggies.